The Internet has now become the key to the digital world and so is the browser that has been the backbone to the internet. Avast, as we all are aware, is one of the leading security company that assures you with online security. 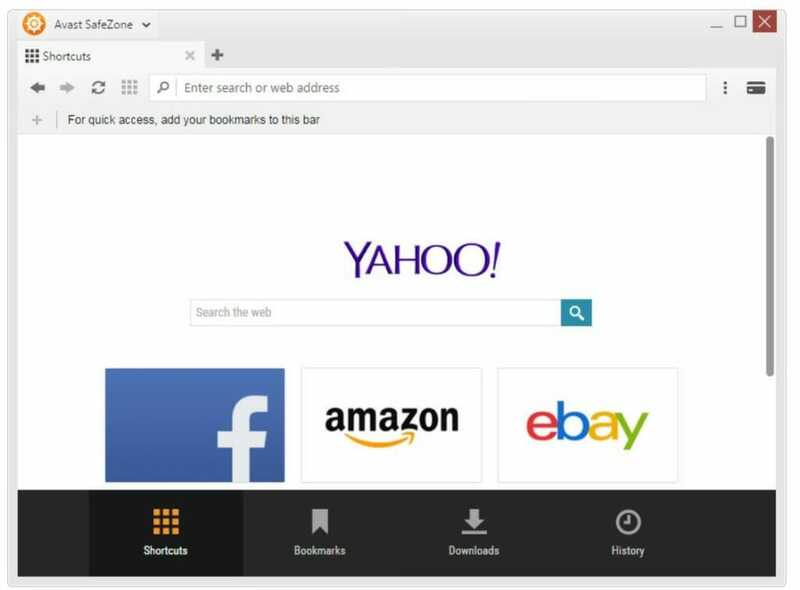 Avast has launched its Avast SafeZone Browser, that keeps the secure browsing environment by simply eliminating any threat that can cause you trouble online. How to download Avast Safezone Browser? FAQ for AVAST SAFEZONE BROWSER? is avast safezone browser safe? avast safezone browser not working? Avast Safe Zone browser is a free browser from avast that is the combination of chrome and opera browsers. Avast Browser doesn’t depend on any kind of the antivirus or antimalware involved in your computer. Avast Secure Browser is self-secured in nature and keeps you away from the viruses every time and at your every browsing experience. According to avast this the most secure browser that is present in the market. Avast Safezone browser comes with all the avast premium or free packs. So basically you can get free avast safe zone anytime you seek to have it for free. Safezone Browser is basically the bit change in the features and programming of browsers by embedding a cloud-based antivirus with browser functioning so that there could be secure browsing environment. Basically talking in more simple language, Avast Safe Zone browser is the replacement of the old technique where you used to keep antivirus and internet security pack together to be safe while surfing online. Integrated Video Downloader for downloading videos from YouTube, Vimeo etc. Embedded with the unique adblocker that blocks all the ad networks and gives you a clean browsing environment. Adblocker plugin comes pre-installed when you get the avast safe zone browser. This has been recently in the controversy as the adblocker also reacts to many types of the websites that make it difficult for them to avail the benefits of the different websites that are based on ad incomes. Since the adblocker in the safezone browser starts from the time avast browser is installed, so there is no different option that will enable the adblocker. When you start browsing the ad, then you can simply start your browsing. To see the number of ads blocked click on the red icon ‘AD’ in the navigation panel. You can also disable Ad Block for a specific domain or block any other specific ad (element) on the page. With pay mode in the safezone browser, your Banking & Shopping is completely secure and private. Avast Pay Mode opens the page you are browsing in the virtual environment. Thus its simple that you have nothing to be afraid of the threats and attacks or stealing of your data. This virtual page is totally isolated from the rest of the parts of the pc or the internet. has any of your logs, passwords or any saved details cannot be hacked by any type of hacker. Also, your system can’t be infected if you visit some ‘shady’ site. Pay Mode is automatically triggered for a majority of the online banking sites. In case your bank is not on the list you can always enter Pay Mode by clicking the credit card icon next to the navigation panel (top-right corner). So now with avast web browser be tension free for the hacking and loosing any of your personal detail. With embedded in browser video downloader you can download videos from any free platform. Last but not least is the Video Downloader, again a pre-installed built-in plugin. It makes it super easy to download videos to your computer from popular servers like YouTube or Vimeo. Mostly in the MP4 format. Many people think that is avast safe, well according to our readings and tests, we will say that the avast browser is the safest browser available. Avast safe browser is one of the best browsers when talking of the security. Avast browser download is available with any of the version you need to buy. After taking into consideration many avast safe zone reviews, we have collected some main information useful for you. Avast safezone browser is the new era of the browser. It is called most safe to conduct online banking and online transactions. Basically talking then the avast safe zone browser is the best browser on the internet available for banking and online transaction purposes. Avast Browser is embedded with the Pay Mode, that makes you secure while you are banking online or shopping online. Safezone browser is best for private works and personal banking too. Avast Browser also includes useful built-in plugins like Passwords, Ad Blocker, Video Downloader or Do-Not-Track. Unfortunately, you cannot install any other plugins or add-ons, due to security risks. The design and the interface of the avast safezone browser is very much appealing and user-friendly too. You will not even feel any problem in using the absolutely new browser. It would look like you are using an advanced and more secure version of the chrome or mozilla browser. You can download the Avast safezne browser by simply installing the latest version of the avast antivirus. Avast Safe Zone browser actually is not available for the separate download. You can have the avast safezone browser download only with any version of avast antivirus. Is simple, as you can get it for free, all you have to do is download avast free antivirus and get the free avast safezone download. Open the file and the installer will open up. Avast SafeZone Browser Desktop IconOnce the installation process is finished you can open the SafeZone browser from the desktop. Although avast is not so much popular it is available with avast only, still, this is a nice and secure browser. Its better than chrome as compared with performance and speed of the browser. On comparing the avast safezone browser with Google Chrome, Mozilla Firefox and Internet Explorer. we were surprised to see that avast browser works with the same speed as that of the google chrome or Mozilla firefox. These are the following few examples of the test and results that we concluded. Using various available tools for browser performance testing we found out following. Chrome (green bar) is still the fastest browser on the market, scoring high scores in all tests. While SafeZone (orange bar) is the second fastest browser nowadays. Firefox is somehow behind them and Internet Explorer is by far the slowest one. Avast Safezone Browser is available for activated windows 7 also. Final performance test results are highlighted on the chart above. The higher the score is, the faster the browser is. You can find more details about how we tested in the ‘Additional Notes’ section at the end of the article. We here concluded that avast safezone browser is safe and nice to work upon. It has the same performance speed as that of other browsers that are being compared with the rest of the browsers. Pay mode in the browser is the unique safety feature that makes avast browser even safer and sound in nature. However, there is one side effect that makes avast the browser a bit weaker is that it cannot add up plugins. Well talking about the avast safezone, then we are sorry to say that avast have discontinued the avast safe zone browser and replace it with new Avast Secure Browser. This new browser from avast was launched in mid-April of 2018, with some new embedded features into it. So there is no safezone installer that is available for you. Since avast has changed its browser from avast safezone browser to avast secure browser, so there are no much available updates for avast safe one. The last version was avast safezone browser 2017 update. After that, you will have to get the new browser from avast. Do not worry as the all-new Avast Secure browser can be downloaded by same means you can get avast safe zone browser. Yes, Avast Safezone browser is completely safe to use and you can be completely tension free. Avast Browser is the safest browsers available on the internet. Thus these are completely safe and sound browser. when using windows 10, then surely avast safezone is the safest browser available for you. Although it is compatible for both windows 7 and windows 8 all versions. Well when you say that avast safezone browser is not working, that means that your browser needs an update. As a sort of update, you have to simply download and install a new version of the avast browser i.e. avast secure browser. Check out our new posts to download the new Avast Secure Browser. You can also compare between Avast safezone and Avast Secure zone browser before choosing the right browser for you. We will keep adding all new updates and versions to download for free. Don’t forget to subscribe to our newsletter for uninterrupted access to all free software and keys.